Fully stocked high fence property with amazing possibilities. Lucky Strike Ranch offers trophy whitetail deer, fallow deer, axis, and red stag hunting right here in Deep East Texas. The amenities are endless with a large lodge with bar area, commercial kitchen, fireplace, walk-in cooler, shop, and ten full-hookup RV spaces. Sale will include all wildlife, feeders, tractor, implements, and more. The well-stocked pine plantations covering the tract will provide future income possibilities. 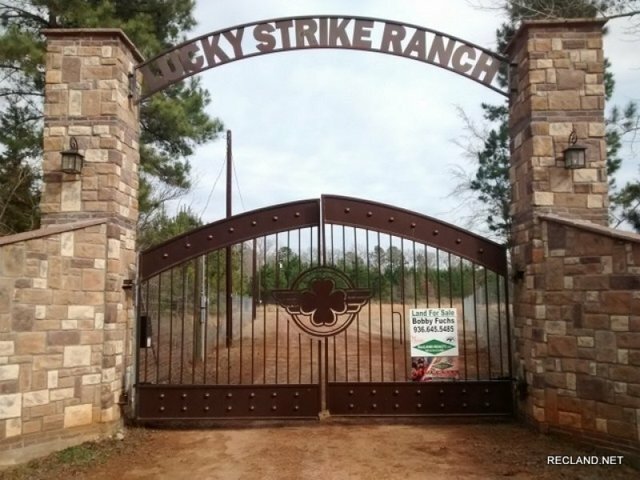 Lucky Strike Ranch could be your turnkey commercial hunting operation, private hunting reserve, or one of a kind home place in the country. Utilities: Electricity and water well present on the property. Location: From Hwy 59 in Nacogdoches, take Hwy 21 west for 11 miles, turn left on CR 779 and drive for 1.6 miles. Main gate on the left. Minerals: Seller reserves all owned mineral interest. Call Bobby Fuchs at 936.645.5485 or see the RecLand site for all our listings with aerial maps.